It was a really unique idea and I can shamelessly admit that I only wanted to read this book because of the absolutely pretty cover. I was slightly wary of the book subject but I shouldn't have been. I was swept along from the beginning and couldn't wait to finish the book and damn that ending! What made you write a book about a girl who could control spiritual energies? I was taking meditation classes at the time the book idea popped into my head and so those key words like chakras and auras kept popping unto the page. I have a few friends who naturally can see spiritual energies and it was interesting to hear how much that changed their experiences growing up. When I created Penny’s character, I had to ask myself what would it feel like to be completely alone in how you view the world? If you could be any character in your book, who would you want to be? Zetta Noble. She’s technically a minor character, does not get the page time she deserves but she’s great, inspirational character. She represents absolute freedom physically, spiritually, emotionally, and mentally. She can be exactly who she is and doesn’t worry about what other people think. Not to say that I am that character, because I’m far far from it but if I could become anyone, I’m aiming to be someone as open and complete at her. I write YA urban fantasy mostly because that’s what I enjoy reading. When I was growing up, books were a form of comfort and expression for me and I want to give back in the same way. Being a teenager and going through all these changes physically and emotionally, it was important to have something reliable like a great books series that I could use as inspiration. A well written book can save a life or someone’s sanity by merely being a source of a smile or comfort. I’m a Youth Services Library Advisor and really what that means is that I read picture books to preschoolers and I host teen events for the local kids. I literally get paid to make crafts with kids of all ages and that really makes me happy. Just last week, my job required me to test out a new slime recipe and it was awesome. On my couch, using a dinner tray as my table. I have a writing table and a good quality office desk but, for some reason, I prefer sprawling out on the couch with the music playing and a blanket around me before writing. I wrote my first book in high school just half heartedly while watching TV with my family so maybe that’s where that stems from. The Lockwood and Co series by Jonathon Stroud. Wow, that man can create a world! I finished each book as soon as they came out and have even read them aloud to my family during long road trips. We all love them. There’s something for everyone from humor to innocent romance to life threatening danger. The character development in those books are, in a word, perfection. A Penny Lost leaves on quite the cliff hanger. Will there be more? Yes! 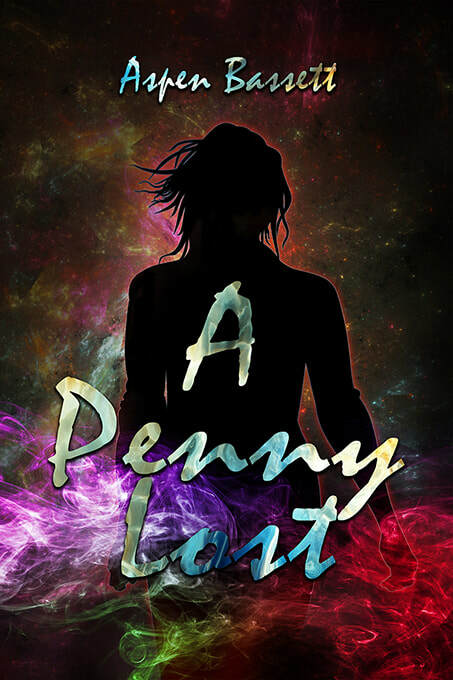 A Penny Lost is the first in a trilogy and, I’m proud to say, the sequel is already written and going through edits as we speak. A lot of readers have expressed an interest in the second book coming out sooner rather than later but all I can officially tell you right now is that it will be titled The Me in Memory.